This is the second year in a row that Bob (pictured at right) has been recognized by Avvo as a “Clients’ Choice” attorney. As client after client explains, Bob combines expert knowledge of Veterans Law with deep understanding of the challenges clients face. Bob’s compassion and passion, together with his knowledge and proficiency in many areas of law, stem from genuine concern for each person as an individual. When you work with Bob, you have a comrade as well as an attorney. Whatever happens, Bob is there for you and is going to help you through. 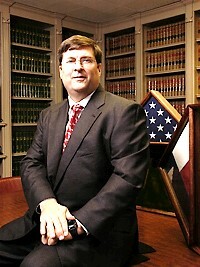 We at the Law Office of Robert B. Goss, P.C. are proud of Bob for his well-deserved recognition as an Avvo’s “Clients’ Choice 2015” attorney. We look forward to working with you. Do you have a legal issue? The good news is, by taking prompt, early action, you are in the best position to maintain or improve your situation. DON’T WAIT. 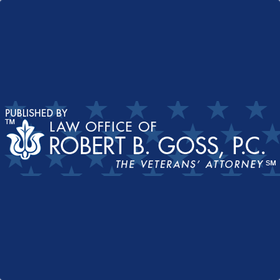 Contact the Law Office of Robert B. Goss, P.C. today to a FREE consultation.